Charles was called to the Bar of England and Wales in 2002 by Middle Temple. 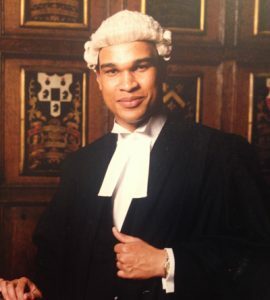 He is a member of the Technology and Construction Bar Association (TECBAR), an accredited TECBAR Adjudicator, an accredited TECBAR Dispute Board Member on TECBAR’s panel of Adjudicators and Dispute Boards, a member of the Chartered Institute of Arbitrators and a member of the Chancery Bar Association. Charles Edwards is an extremely bright, confident and a fearless Barrister with a very commercial approach specialising in the resolution of complex construction and engineering, chancery and commercial law. Charles is meticulous and excellent at mastering the detail in complex cases. Charles is a graduate of the University of Cambridge (Departments of Engineering and Architecture) and King’s College London (Centre of Construction Law and Arbitration). Charles Edwards, Barrister & TECBAR Adjudicator gave a talk on Collaborative Working in connection with Construction Contracts at the Chartered Institute of Arbitrators (Thames Valley Branch) based on research carried out and supervised at the University of Cambridge (Departments of Engineering and Architecture). Charles Edwards, Barrister & TECBAR Adjudicator was invited by an international engineering company to give a talk on Letters of Intent at their annual training day. This included amongst other things, the dangers of proceeding with Construction Works on Letters of Intent. New Temple Chambers is a specialist and highly skilled set of barristers chambers specialising in construction and engineering, chancery and commercial law.